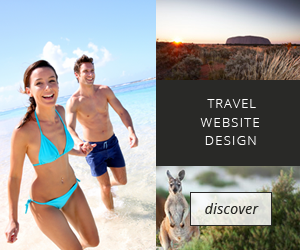 Hotels, resorts and accommodation in Queensland and beyond. Trying to work out where to stay at the Great Barrier Reef? We’ve partnered with HotelClub to bring you a great selection of accommodation, the length and breadth of the Great Barrier Reef. 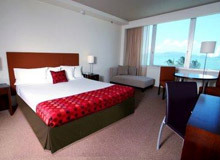 Search for hotel rooms and book online. Many hotels are located a short walk from the beach so it’s easy to experience this great natural treasure. Accommodation is also available on some of the many beautifully romantic Great Barrier Reef Islands where eco tourism is a focus. Walk from the hotel room to the beach and the reef! 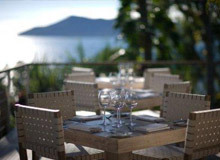 There are many great hotels and resorts located along the Queensland coastline and islands of the Great Barrier Reef, that are perfectly suited for a romantic getaway, weekend escape or family vacation. 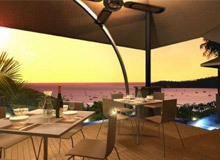 The Great Barrier Reef region offers a wide choice of accommodation for all budgets ranging from elegantly sophisticated resorts and remote and secluded luxury lodges, through to family oriented island getaways. Discover other great destinations beyond the reef, such as the glitzy glam of Queensland’s Gold Coast, the culture of Brisbane and the calm of the Sunshine Coast. Airlie Beach is located on a picturesque peninsula that stretches out into the Whitsunday waters and is the perfect location to stay and experience the Whitsundays and the surrounding region. 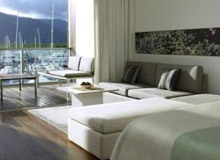 Hotels in Cairns are the perfect place from which to explore the many wonders of the Great Barrier Reef, unspoilt islands and the spectacular wildlife and pristine scenery of the surrounding tropical rainforests. Cape Tribulation is in the heart of the Daintree Rainforest where two World Heritage areas meet and is home to some of the world’s oldest rainforest. 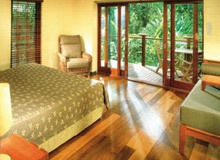 There is accommodation to suit every budget in the Cape Tribulation area. Gladstone is a unique blend of reef, coast and country with a few great accommodation options. The town is a gateway to the southern reef, amazing country adventures and beautiful national parks. Mission Beach is made up of four beach villages halfway between Townsville and Cairns and is surrounded by lush wet tropical rainforest, pristine white sandy beaches and the Great Barrier Reef. Port Douglas is just a one hour drive north of Cairns and is the place where the rainforest merges with ocean and reef to combine the perfect destination. 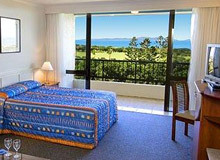 There is a wide variety of accommodation to suit all budgets. 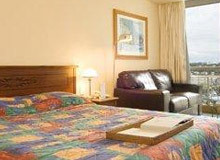 There is a great selection of hotels in Rockhampton, a town renowned for its elegant streetscapes, majestic sandstone buildings and rich cultural heritage. With the Great Barrier Reef sprawling just off the coast, the Townsville region has many great places for you to stay on your holiday.